Following in the footsteps of his father and grandfather, Matt Moulthrop turned his first bowl at the age of 7. Completing his BA at the University of Georgia and MBA at Georgia Tech, Matt tried his hand at work in the 9-to-5 world, but ultimately eased into turning wood as a career, making him the third generation of Moulthrops to carry on the craft. Matt says that as a young adult, he learned that the artistry of wood turning comes not from the hand, but from the eye. Being able to “see” the shape of the bowl has been a legacy and a gift he has tried to improve upon with his vision and version of style, form, and texture. His works has been displayed in galleries and museums around the country, including the Smithsonian Institution, Renwick Gallery of the National Museum of American Art in Washington, D.C.; The Carnegie Museum of Art in Pittsburgh, PA; and The Carter Center in Atlanta, GA.
Coffee table made from poison ivy vines. As a child, Matt posed inside one of his grandfather’s woodturned bowls to show the scale of the art. Find out more about Matt and his work at www.moulthropstudios.com. Watch a fascinating 15 minute segment on the PBS program, Craft in America, about Matt, his dad Philip and grandfather Ed — three generations of woodturners. Mal McEwen is a north Georgia chainsaw artist with family roots in the area dating back to 1746. He has always enjoyed working with his hands and creating works of beauty, including being a mechanic, machinist and trim carpenter. Mal picked up a chainsaw for the first time in 2002 and has never looked back. What started as a hobby has transformed into a livelihood, with commissioned projects coming from as far away as California. Known as the MalHatter (for the colorful top hat he wears while performing), Mal has carved from Florida to Pennsylvania to Washington State and many points in between. Listen to Mal’s Art as Worship interview on Empower Radio. Always willing to give back to his community, Mal demonstrates at multiple local libraries each summer with the hope of inspiring children to follow their dreams. He has been commissioned for carvings at a number of public and private schools and is always a big hit with the kids. In this world of mass production, Mal takes great pride in the fact that each piece is 100% American-made, individually carved, and is a one-of-a-kind work of art. In May of 2009 Mal organized the first major carving competition in the Southeastern US. The Inaugural “Buzz in the Blue Ridge Chainsaw Carving Extravaganza” was a huge success — nine carvers showcased their talent and raised awareness of this up-and-coming art form. With the success of the “Buzz”, Mal has gone on to promote other carving events in the Southeast. Find out more about Mal and his MalHatter appearances at www.malworks.com. Like his Facebook page, Georgia Chainsaw Artist, to see photos of his most recent art. Martin C. Dawe is a sculptor who works primarily as a commissioned artist in a variety of mediums. Martin has become well known for his figurative and representational work, which ranges from loose, impressionist work to traditional sculptures with a late 19th century style. From the World Athletes Monument in Midtown Atlanta to his contemporary site installations, Marty has developed a very personal style of collaboration from his work with private, public and corporate clients. Marty was awarded the Honors Award for Arts by the American Institute of Architects, AIA Georgia, artist of the year in 2001. Listen to Marty’s Art as Worship interview on Empower Radio. Born in Johannesburg, South Africa, Marty moved to the United States when he was a child and grew up in New Jersey. He studied at Boston University School of Fine Arts and received a Bachelors of Fine Arts in Sculpture from Georgia State University. He apprenticed for 8 years under Julian Harris. Marty began his own custom sculpture studio in 1987 and incorporated as CherryLion Studios, now the largest custom sculpture studio in Georgia, in 1994. He leads a team of talented apprentices at his 6,000 square foot studio near downtown Atlanta. Here Marty blends state-of-the-art technology with a disciplined, classical approach. 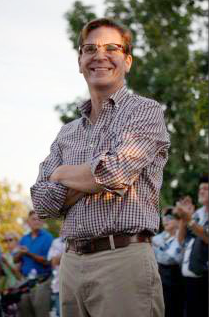 He is known for his ability to collaborate, stay within budget and meet deadlines. The studio has executed hundreds of commissions including 25 large-scale public art installations. CherryLion Studios has developed mold-making and casting processes, as well as formed relationships with many area foundries. 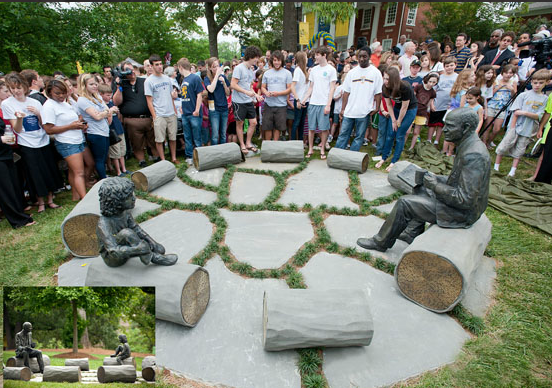 Elliot’s Circle, The Galloway School, Atlanta GA 2010: An outdoor classroom with Elliott Galloway and a student in bronze sitting in a circle of GFRC logs on the ends of which are engraved all alumni since the founding of the school in 1969. Watch a timelapse video of Marty and his team as they create Elliott’s Circle. 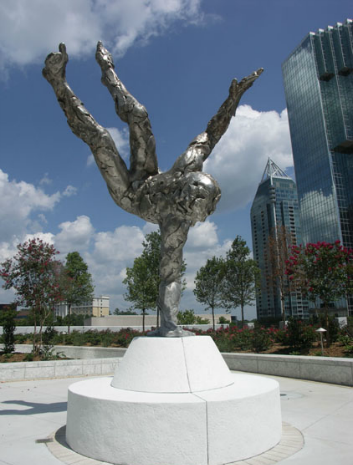 Landing Gear, Terminus, Atlanta, GA, 2009: 12’ tall cast stainless steel abstract figure for courtyard. 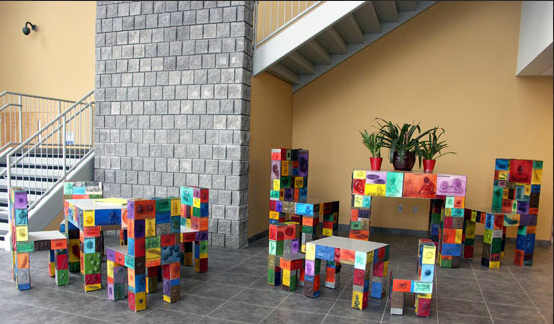 Nourish, Atlanta Community Food Bank, Atlanta, GA – 2005: Three sets of tables and chairs covered with pigmented translucent reliefs imbedded with donor recognition plates. 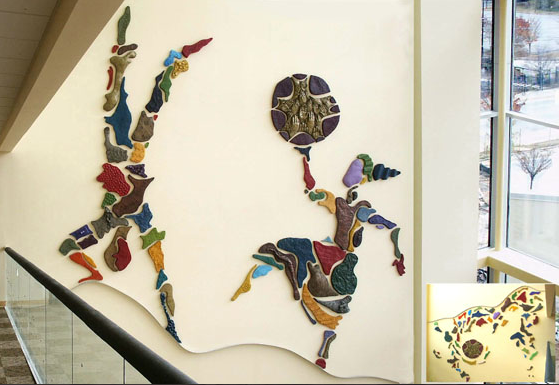 Equilibrium, Fulton County Juvenile Court Facility, Atlanta, GA – 2002: 158 colorful reliefs in the lobby of the new Juvenile Court building were commissioned as a part of the Fulton County Arts Council’s Art in Public Places. Martin held a summer workshop with children from the Juvenile Court to develop imagery for the reliefs. On the west wall, the reliefs are arranged in an abstract pattern and on the east wall, the same reliefs come together to form two 22’ dancing figures of children.